This is the story of living with a disability, overcoming that disability, suffering under a forced re-imposition of that disability, struggling against that imposition, and finally subduing it. That is not my physical disability of blindness, but my intellectual disability of ignorance and fear. I wrote the first half of this more than a year ago, but I could not bring myself to publish it. I felt like the final chapter was missing, and I had to live that chapter before I could write it. I dedicate this article to John Forester, who through his writing rescued me from my own accidental ignorance. And to Andrew Fischer, who came to my aid in the struggle against others’ willful ignorance. I am deeply grateful to my friends, particularly members of the Barony of Bergental and the bicycle driving community, for giving me some light during a very dark period. There were many days during that period (and there continue to be such days) when I could not find a compelling reason to get out of bed. But there were also days when my friends provided such a reason when I would not otherwise have found one. I am blind. I am not totally blind. Some would describe me as “partially blind” or “visually impaired.” The details are not important to the rest of the story, but people tend to be curious about it, so I will explain. I was born with a rare, hereditary eye disorder called “retinoschisis.” Balls of fluid, called “scheses” (plural of “schesis”), partially separate my retina from the back of my eye. My acuity is impaired and I am missing some parts of my peripheral vision. The disorder also comes with a risk of retinal detachment, which results in total blindness in the affected eye. There is currently no corrective procedure. Since the defect is in the retina rather than the lens, it cannot be corrected with glasses or contacts. I also have some secondary symptoms. I don’t have as much control over my eye movements as most other people. I must compensate for my reduced peripheral vision and eye movement control by turning my head more than most people do. I can’t wink, and I tend to blink more than most people. I have what is called a “nystagmus.” If I look intently, my eyes instinctively dart around, trying to focus. But they can’t get the focus they expect, so they just keep darting around. It’s a neat party trick. It is hard to describe my vision or to compare it to normal vision because I have never had normal vision. It looks normal to me, and I have no other experience to compare it to. But I am told that everything looks blurry to me compared to someone with normal vision and that parts of my peripheral vision are missing. The blurriness means that I cannot make out as much detail as most other people. I have trouble recognizing people. I have trouble making out small details or details of distant objects. My night vision is especially poor. My blindness renders me unqualified to legally drive a motor vehicle. For a long time I thought of this as a severe limitation. I did not know of any other means of transportation that would give me the flexibility I needed to live a full and normal life. On the spectrum of blindness, my vision is actually quite good. It is far better than the uncorrected vision of many people whose vision is fully corrected with glasses or contacts. Most people cannot detect my blindness through casual observation. Until I tell them that I am blind, they just think I’m weird (which I am, and proudly so). I can read most normal-size print under the right conditions. I do not use a cane or dog when I walk. Apparently, I am quite comfortable performing many tasks by feel for which most people rely on their vision: for example, climbing/descending stairs, shaving, and turning a bolt with a screwdriver. My blindness renders me unqualified to legally drive a motor vehicle. (My brother has slightly higher acuity than me, and did have a driver’s license for a short period.) For a long time I thought of this as a severe limitation. I did not know of any other means of transportation that would give me the flexibility I needed to live a full and normal life. I got by with a combination of walking, biking, riding buses, and getting rides with friends and family members. With these methods I could meet my basic needs but not much more. Limitations on my mobility constrained my opportunities much more than any direct consequence of my disability: my options for where I could live, work, shop, and socialize. Socializing was especially difficult for me for many reasons, but an important one was that my mobility limitations hindered my ability to act spontaneously or to interact with others on an equal basis. I could not go where other people went without great effort and planning. Walking was slow and impractical for almost all trips. Biking was also slow, although faster than walking. It was also difficult, stressful, and still quite limiting. I only felt comfortable going short distances on familiar and comfortable routes. I had quite a few crashes too. Riding buses could be faster than biking, but it could also be slower than walking. It was extremely inflexible and unreliable. Bus routes only go certain places and only at certain times. Often buses are late, don’t stop, or don’t come at all. Missing a bus, even by a minute, could mean being twenty minutes late, an hour late, or not getting there at all. It could also mean becoming stranded far from home. So it was necessary to plan a trip well in advance and leave a lot of buffer time. There is also a severe limit on what can be carried on a bus. Getting rides from friends and family was also inflexible and unreliable, as well as humiliating. I would have to start looking for a ride days or weeks in advance, and I often did not find one. I could not choose when to arrive or depart or even know when I would arrive or depart. If my ride was late to pick me up, then I was late to arrive. If my ride wanted to leave early or stay late then I had to leave early or stay late. And there was a social liability in that my ride’s flexibility was constrained by their commitment to me. Socializing was especially difficult for me for many reasons, but an important one was that my mobility limitations hindered my ability to act spontaneously or to interact with others on an equal basis. I could not go where other people went without great effort and planning, which often included the indignity of imposing on others for a ride, which I might or might not receive. Asking for a ride might not seem like it should be so humiliating, but as an integral part of my life, it left me in a constantly dependent and inferior social position. I was lonely and isolated. I could not relate to other people, and I resented them for taking for granted the freedom that for me was unavailable. I resented the World for leaving me behind. In the summer of 2005, approaching my twenty-eighth birthday, I separated from my wife (now my ex-wife). My principal social outlet at the time was my weekly choir practice, which I had been traveling to with my wife in her car, so it was important to me to continue attending. It was fifteen miles away (ten miles was my limit at the time) on unfamiliar, difficult, scary roads, so biking seemed impossible. I was too far out of the way for other members of the choir to pick me up. There were no buses that could take me. Before we were married, my wife (then my fiancé) had bought me a book about cycling. She had known even less than I did about cycling (which was not much at the time) and was not at all familiar with the book. But she knew that I rode a bike. She had been poking around on the Web, had come across the book, and bought it for me. I had never gotten around to reading it before, and I had forgotten about it until this transportation crisis arose. In desperation, I dug the book out and started reading it, hoping to find a clue to my mobility problem. 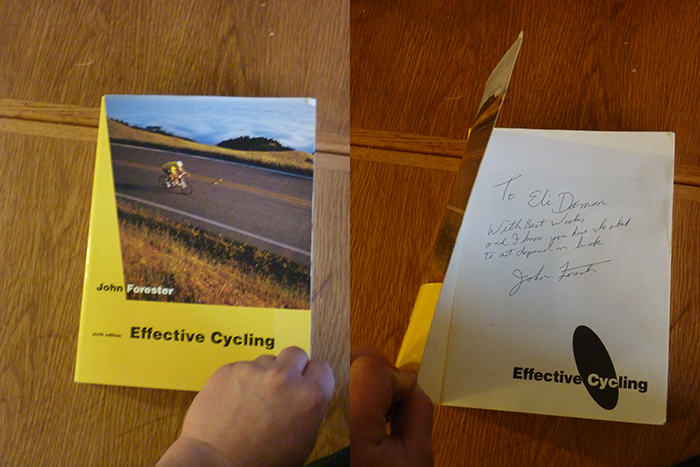 The book was Effective Cycling by John Forester. As I read the book, I became very excited. It suggested that I should ride my bike according to the same rules as drivers of motor vehicles use and that I should stay away from the edge of the road, sometimes riding in the center or even on the left side of a lane, thus occupying the entire lane. I knew that the designs of roads provided a simple and predictable environment for motorists to travel with ease and flexibility. If I could use the roads in the same manner on a bike, then I could go anywhere with the same ease and flexibility. This was a totally new concept to me, and I was somewhat skeptical of it, but I recognized its immense potential. It was as if I was no longer disabled. I was still blind, but ignorance, not blindness, had been my disability all along. I had been healed. I could go wherever I wanted, whenever I wanted. I cautiously began to test out the techniques I had read about. On a familiar, comfortable road near where I lived (Strong St. in Amherst, MA), I rode a little farther from the edge than I had before. I immediately noticed that motorists passed me at a greater, more comfortable distance. I tried moving a little farther from the edge, and motorists left me an even wider gap. I also noticed that I could ride a straighter course, at a higher speed, with less effort away from the edge than I could near the edge. I quickly became comfortable riding assertively on small quiet roads. I advanced my testing to bigger, busier roads. And then even bigger, even busier roads. I learned how to look at the horizon and follow the lane line to my left rather than following the right edge. I also grew more comfortable with scanning and signaling. I was ready to take on the scariest road I knew of: Route 9 in Hadley, a major four-lane arterial. I headed out to the Hampshire Mall. Approaching University Drive, where Route 9 widened from two lanes to four, and where I would earlier follow the edge, I continued on a straight course to end up in the middle of the right lane. It worked! I looked straight ahead and held my position. Motorists passed me in the passing lane rather than squeezing by right next to me. With the edge of the road farther away from me, I found that I was able to focus my gaze farther ahead and move faster with less effort. Traffic controls no longer took me by surprise like they did before because they were all placed so as to be easily noticed from that middle-of-the-lane position. I also noticed that being directly in line with other traffic enabled me to take clues from traffic ahead of me about what I would encounter. When I got near mall, I scanned, signaled, yielded, and moved to the left through lane. When I got to the beginning of the left-turn lane, I moved right into it. It was amazing how easy it was. When the light turned green, I turned into the Mall. I was no longer afraid. It was as if I was no longer disabled either. I was still blind, but ignorance, not blindness, had been my disability all along. I had been healed. I could go wherever I wanted, whenever I wanted. I could do all of the normal things that other people did. I could live a full, normal life. I could go to choir practice. I had the honor of meeting John Forester at the I Am Traffic Bicycle Education Colloquium. The image above is my copy of his book, which he signed at that event. On a 95-degree summer afternoon, I started on the fifteen mile trip to Holyoke, where my choir practiced. I passed Atkins Market and entered unfamiliar territory. I continued to exploit my newfound freedom and expand my sense of possibility, cycling on a wide variety of roads under a wide variety of conditions, even making a couple of three-day, two-hundred-mile journeys. I struggled up the steep winding road to the Notch in my lowest gear. I fought to keep the pedals moving and the front wheel pointing forward. I rounded a curve, hoping to see the top, but there was just another curve. I kept going. Finally, I rounded a curve and I saw the top. My muscles hurt terribly, but I kept pushing until I reached the top. I rested and drank some water. Then I claimed my reward: flying down the smooth, straight, south side of the Notch. I would never have made it up that hill with mind and body divided by the stress and difficulty of my old way of cycling. By freeing myself of that stress and difficulty, I was able to unite mind and body to achieve new heights, literally and figuratively. I reached the South Hadley side of the Connecticut River, but I couldn’t find the bridge to Holyoke. I went around and around trying to find it until I finally realized that I was misreading my map. Before, being lost like that would have been terrifying, but with my new ability, being lost no longer meant being stuck. I calmly searched for the bridge until I found it. South of the bridge, I entered the urban core of Holyoke, another unfamiliar setting. But an unfamiliar road no longer scared me. I knew that I could count on the familiar patterns of other roads. I was hot and exhausted, but I was also happy and confident. I made my way to my friends’ house where practice was held, and I collapsed. They weren’t home. I sat and waited until some relief came along in the form of an ice cream truck. A little later, my friends came home and reminded me that there was no practice scheduled that week. Oh, well. I continued to exploit my newfound freedom and expand my sense of possibility, cycling on a wide variety of roads under a wide variety of conditions, even making a couple of three-day, two-hundred-mile journeys. I made these trips because there were opportunities at the end that I wanted to take. I could never have made those trips or taken those opportunities before my transformation. It would have been overwhelmingly difficult, stressful, and scary. I felt compelled to share the knowledge that led me though such a powerful transformation with other. I began corresponding with cycling instructors and pursuing cycling instruction certification. As I continued to exploit my newfound freedom, I was sometimes stopped and threatened by police officers, who disapproved of my assertive cycling behavior, the defensive driving techniques that made bicycle transportation practical and allowed me to build a life for myself. I had never interacted significantly with a police officer before, and the experience was quite scary. However, these encounters did not deter me because they all ended quickly. They would stop me, order me to move to the edge, or sometimes to get off of the road entirely, threaten to arrest me, and then move on. So I would simply move on as well, confident that my right to the road was secure and that I was not in significant danger. My spirit was crushed. I was terrified. Knowing that I would eventually be stopped by a police officer again, that I was under a standing threat of arrest and that I could be held in jail for an indeterminate duration without even being convicted of a crime: It all made me feel completely helpless. But these threats escalated in the Fall of 2009. First I was stopped in Hadley. Hadley was close to Amherst, where I lived, and I had been through it many times. I had never been stopped in Hadley before. The other stops had been farther from home, in places where I did not expect to travel very often. Being stopped in a place where I traveled on a weekly basis was a higher level of threat. The threat was intensified when the same officer stopped me a month later, seized my bicycle, made me walk to the police station to retrieve it, and renewed his threat of arrest. Shortly thereafter, I was stopped by a police officer in West Springfield. I had been stopped in West Springfield several times before, but nothing had come of them. During the previous West Springfield stop, officers had even acknowledged my legal right to the road. But this time the officer arrested me and charged me with the crime of disorderly conduct. At my arraignment, the judge informed me that if I was arrested anywhere, for any reason, while the charges were pending, that I could be held in jail until their resolution. My spirit was crushed. I was terrified. Knowing that I would eventually be stopped by a police officer again, that I was under a standing threat of arrest in Hadley, that a police officer who stopped me would discover that I was facing criminal charges, that the discovery could further bias them against me, that a threat of arrest and criminal charges was credible, and that I could be held in jail for an indeterminate duration without even being convicted of a crime: It all made me feel completely helpless. I was afraid to leave my home unescorted for fear of another police stop. And when I did leave my home, I was overcome with such intense anxiety that I could not enjoy what I was doing. I was extremely depressed, feeling like a prisoner in my home. Moreover, I was afraid of the possibility of being found guilty. Such a finding would be terrible and not only for the usual reasons that a criminal conviction is terrible. It would also render illegal an essential function of my life, one that I had suffered without for most of my life. After living with a disability for twenty-eight years, then being freed from its constraints and enjoying that freedom for four years, I was forced back into the constraints of my disability once again. It was like I imagine it would be for someone who lives to adulthood unable to walk, then learns to walk as an adult only to have someone shatter his knees with a sledge hammer a few years later and again be unable to walk. After four months of prosecution, a week before the scheduled trial, the district attorney agreed to drop the charge. I was a little bit freer, but I was still terrified of the possibility of future encounters with police officers, and I was still overcome with anxiety when I left home. I desperately wanted some means to ensure my safety, but I was told that there was nothing I could do to achieve it. Short of that, I wanted to at least know for sure what danger I was in, particularly in Hadley, but I was told that the only way achieve that was to go out and see what happened. I apparently had no choice but to pretend to live my life as normal, all the while expecting the nightmare to resume at any time. I have never had a talent for acting. I was unable to pretend that everything was okay. But I did venture out a little and try to rebuild some of the life I had before. I had been doing some private tutoring and looking for a full-time teaching position before I was arrested. I felt that things were too uncertain to resume that. I started with some social activities with people I felt comfortable with. That would reduce my anxiety a little. But I was always apprehensive of the possibility of further conflict with the police. And being unable to determine where I stood with them was especially upsetting. There was no way to ask them if their threats still stood and get a meaningful answer. A few months after the disorderly conduct charge was dropped, the same Hadley police officer stopped me a third time. He accused me of wiretapping and seized my camera. I received notice a few days later that he had charged me with wiretapping as well as disorderly conduct. I bought a sport video camera with the hope of collecting on-bike footage for educational videos. When I went out, I mounted it on my helmet and set it to record my trip, hoping to refine my camera technique and maybe catch some interesting traffic interactions. It also gave me some security in that it would enable me to document a police encounter. A few months after the disorderly conduct charge was dropped, the same Hadley police officer stopped me a third time. He wrote me a traffic citation. He also accused me of wiretapping and seized my camera. 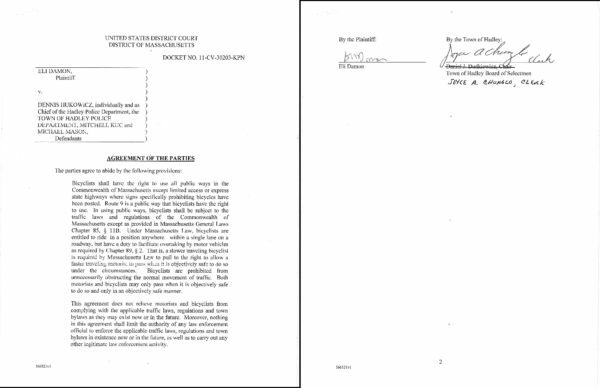 I received notice a few days later that he had charged me with wiretapping as well as disorderly conduct. I was again a helpless prisoner. I pleaded for help from anyone who might have been able to help me, but most were unwilling to do much. After six months of prosecution, a judge eventually threw out the charges in response to a motion to dismiss. But I now knew that the Hadley police were willing to carry out their standing threats. I knew that I was not safe. I was still a prisoner. One of the people that I had asked for help was attorney Andrew Fischer, and in the Fall of 2010, he agreed to pursue a lawsuit against the Hadley police, in which we would ask the court for an injunction, an order to leave me alone. It was another year before he filed the lawsuit. At that point, I felt a good deal safer traveling because I knew that the judge would hear about any interference from the Hadley police. I was still in a tenuous position, but a much better position than before. I could at least begin to rebuild my life. I moved to a new home in Easthampton. One major difficulty in coping with the pending lawsuit was the legal hazards of speaking or writing about my experience. I felt an intense desire to discuss the experience that dominated my thoughts with others, and suppressing that desire was intensely frustrating and it continued to isolate me. The lawsuit continued for more than two years. Many people take for granted the ability to travel freely. They do not realize how precious it is, and they do not understand what it is like not to have it. I was unable to secure the injunction I had asked for, but I was able secure a summary judgement ruling and a settlement that clearly constitute a victory, albeit a weaker victory than I had hoped for. Through the settlement, I was able to achieve a solid sense that I would have some recourse if the Hadley police were to interfere with my travels again. My victory was, in fact, historic, being the first time a federal court had ever affirmed a cyclist’s right to the road. I have come a long way toward rebuilding my life, but I also have a long way to go. I cannot simply “move on.” However, I am now free to move forward. Things are slowly getting better. Many people take for granted the ability to travel freely. They do not realize how precious it is, and they do not understand what it is like not to have it. Having discovered it after living without it for most of my life, it is certainly very precious to me. And having recovered it after it was seized from me makes it all the more precious. You can hear me speak about my long conflict with the Hadley police in my recent interview on the Strong Towns podcast. A very good read, though it’s always frustrating to read about police ignorance resulting in the persecution of cyclists. Happy to read about your positive result. I really enjoyed reading your story and I applaud your perseverance. I too was “freed” from a great deal of confinement (with a paranoid schizophrenic mother who thought the mafia was out to kill us), once I started riding a bicycle to high school during my senior year. I spent the next 13 years or so with the bicycle as my only means of transportation. That was back in the ’80’s and ’90’s. In the past two years, I have traveled cross-country over 1700 miles from Jacksonville, Florida to Texas. I plan on completing the final stage of that journey in 2015. It was during “Stage I” as I was traveling through Louisiana between New Orleans and Norco that I had the one and only encounter with police, forcing me off the main road where I already knew I was legal to ride, and onto a much more isolated (from water stops, etc.) “trail”, that was otherwise exposed to the sun and heat. It was the one time I got Really Angry while I was on the road. Like your experience though, it was mostly a matter of their ignorance, and at the very least I followed up with a long comment on the Facebook page of the relevant parish, in hopes that any future cyclist passing through there would not be confronted the way I was. That’s a little different from your situation though, since it is something you might encounter much more regularly. Either way, I totally get your determination to do whatever you can to maintain your “Freedom”. And you are absolutely right, a lot of people take that freedom for granted every day. Your story is a great reminder not to do that and to respect how critical such things are for everyone. P.S. I’m happy to say I am living in Sunny Santa Barbara, CA now and the cycling culture here is Really Amazing compared to where I lived (MD/DC/VA) on the east coast. So, if you ever decide to really stretch your boundaries, you might find this region a little more conscious, considerate, and supportive. And there’s a whole coastline to travel whenever you’re in the mood! Fantastic story, Eli. Congratulations on your successful resolution and thank you for sharing with others how important this right to travel by any legal means on public roads is to everyone. Wes, I’m glad to see you’ve come around to defending a cyclist’s right to use all legally permissible public roads for travel. What caused you to change your mind? Funny- John Forester’s published advice for riding bikes is quite subservient to the motorists – from the book Eli has posted at the top Forester repeatedly suggests cyclists ride just inside the lane at the edge of narrow roads, to never delay faster traffic, advises to NEVER take the lane on a high speed road if traffic is behind, and to even curbhug in traffic. pg. 310 “if you find you have miscalculated, get on a lane line and ride it straight” -a stunning endorsement of NOT TAKING THE LANE. pg. 311 “remember, the objective of traffic safe cycling is not to ride in the gutter as long as possible, but to leave it early enough to minimize your risk when changing lanes” – by riding like the ‘road sneak’ he describes earlier. John Forester is a curb hugger. Sorry to see that Eli has taken as his talisman a book with such wretched curbhugging advice on riding as Effective Cycling. I’m not ever sure Eli is executing the forester riding methods described in the book, as John’s riding advice is markedly different from the riding described by Eli. this summary judgement also clarifies the duty of cyclists in the commonwealth to ‘turn out to the right’ and share the lane when safe to do so, in adherence with one of the foundational elements of traffic law. Sharing the lane with faster traffic when safe to do so is an aspect of traffic law most in the vehicular cycling camp resolutely ignore. 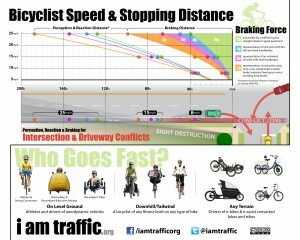 In states with more clearly defined cyclists rights, the right to control lanes of traffic is more firmly established. this summary judgement should be turning the VC camp on their heads – General traffic laws require bicyclists share the lane and turn out to the right, to ride as far right as is safe to share the road. Interesting how it INvalidates one of the primary planks of the vehicular cyclists. Thank you all for the compliments. I’m glad you liked the story. At the risk of unnecessarily dragging out a dead argument, I give the following response to Mike’s comments. It is true that I do not agree with or follow all of John Forester’s specific guidance. 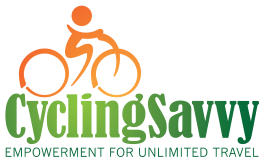 But “Effective Cycling” was my first exposure to the concepts and skills of bicycle driving, and the book’s shortcomings did not keep me from learning those concepts and skills and using my own judgement in applying them. Also, I am not aware of anyone who advises controlling a lane when there is no safety benefit to doing so. I don’t know where you got that idea from. The summary judgement does not say “turn out to the right,” which usually means (in California anyway) moving off of the roadway and stopping. It says “pull to the right,” which is not a well-used phrase. So its specific meaning is harder to nail down, but in light of expectations for other drivers, it can reasonably be interpreted so as not to imply stopping, slowing, or leaving the roadway. I suppose I would be one who advises controlling a lane as a default position, precisely because I reckon it always tends to confer a safety benefit. The only times I wouldn’t advocate controlling a lane is when doing so imposed a risk that outweighed the benefit… and I can’t think of one off the top of my head. Of course, a lot of so-called “cycling advocates” find it frightening to control the lane, and oppose it for that reason, but fear is not the same as risk. As for Forester, I think a more diligent reading of “Effective Cycling” might indicate that the aforementioned quotes are exceptions to the rule taken out of their contexts. All I know is that the characterization of John Forester as a “curb-hugger” is ludicrous and not worth the effort to address beyond that. As for “sharing the lane”, I’m not sure what the definition of that is, given that vehicle operators either have priority under the law and must be yielded to, or they don’t. The concept of “sharing a lane” has no precedent under the law, as far as I can see, (other than the requirement to support the movement of a vehicle operator who is overtaking safely). From the arguments I’ve seen supporting “sharing the lane”, the idea seems to come out of a fundamental misunderstanding of the rules of priority. On the issue of lane control and risks vs. safety benefits, after having mulled it over for a few minutes, I still can’t think of a “safety” reason to cede control of a lane in which I have priority. Even when using the “control and release” tactic, what we’re doing when releasing vehicles behind us is accepting MORE risk in order to facilitate traffic flow – this is done for reasons of courtesy. Personally, I think it’s stupid to do it, but sometimes even I do it. The fact that it feels incumbent on the cyclist, from time to time, to move right to allow faster traffic to pass is not an issue of safety, and I’m not sure it’s even an issue of law (except in some states where slower-moving vehicles may be required to pull off the road when a line of waiting traffic develops). What it is, at its root, is an issue of courtesy, and I’m not a big fan of courtesy when being courteous clouds issues of road rules or safety. When people disobey rules to be courteous in a potentially dangerous situation in which rules keep people safe, people can die. I didn’t mean to belabor the point too much on Foresters’ rather dubious riding advice. I misquoted Mass. laws, 89-2 says ‘give way to the right’ not ‘turn out to the right’ but they mean the same thing, to operate to the right to facilitate passing of faster vehicles. The judge certainly affirmed this is a duty of cyclists under the commonwealth of massachusetts vehicle code. His ruling does not support a frequent contention of the vehicular cycling camp, which base a lot of their advocacy argument on the specious belief vehicle-neutral vehicle laws intend to allow bicycles never have to share a lane of traffic. The judge clarifies sharing the road by moving to the right IS a duty of cyclists in mass. What does John Allen think about this? He lives in Mass, doesn’t he? This turns the VC camps’ prime argument on its head. 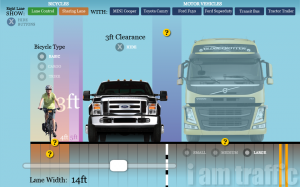 If, however, Mass had a cyclist specific law like CVC 21202, Colorado 42-4-1412, or Washington 46.61.770 a cyclist wouldn’t have to share a substandard width lane and have a lot of explicit causes to control lanes of traffic. Oh, well! Let’s hope this opens the eyes of a lot of the Vehicular Cyclists that general vehicle laws don’t regulate bike traffic the way the VC think they do. I am tired of Beck’s program of tracking every mention of my work so he can cover it with his known falsehoods. He claims that I recommend curb-hugging and being subservient to motorists. It is true that it was not until the seventh edition of Effective Cycling that the motorist overtaking cyclist situation was given the traffic-engineering analysis that it deserved (an edition which Beck finds it convenient to ignore), but I never have been a curb-hugger subservient to motorists. Nothing could be clearer than these statements dating from back in 1975, or before. Beck surely has some motive for his program of tracking down references to my work so he can cover it with his falsehoods. The reader should consider this when reading his material. Many bicycle-stay-right laws are poorly conceived and generated needless conflicts between cyclists and police. North Carolina has found a better way. Some vocal detractors want you to believe this is about a woman being inconsiderate of motorists and trying to make a point. That could not be farther from the truth. This case exposes a significant challenge to our right to travel safely on the roadway. Recently, the bicycling world has been aghast to learn that a law-abiding citizen is being charged with “reckless driving” in Kentucky…despite all facts to the contrary. Since August 2009, Eli Damon has been put through the ringer of court cases, trials, and perhaps most demeaning: Lousy media reporting. The Daily Hampshire Gazette recently published a highly misinformed and misleading opinion about the latest ruling. The Editor needs a little Reality Check. The case, supporting materials and videos used in an effort to remove discriminatory language from a city’s bicycle ordinances.